At Absolute Luxury Travel, we believe travel enriches the mind and soul. 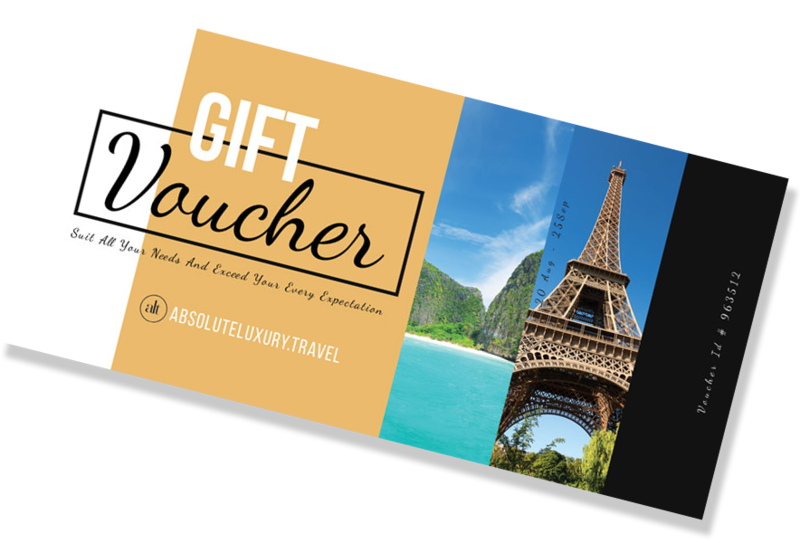 Give the gift of luxury travel with an Absolute Luxury Travel Gift Voucher. A perfect solution for the person that has everything. Not only is a gift voucher a convenient and popular option, it means your loved ones, high-performing staff or valued clients can choose their own adventure. The recipient can use the voucher towards flights, a holiday at one of our many deluxe accommodation partners worldwide, or book a cruise, or one of our popular arts and cultural tours. They can even work with us to create an individual itinerary. We are happy to tailor the voucher to suit your needs. For staff incentives or client gifts, we can even brand the voucher with your logo and company details.